The people of Bungeo are obsessed (in a good way) with sport. On land, on water, for young, for old, for all. Bring it on! We can confidently say, there’s not a weekend that goes by where the region is not hosting a sporting event or two. Here are some of the best! A multi-staged relay race consisting of a canoe leg, mountain bike ride, swim, road bike ride and run. Over the weekend in October competitors challenge it out in the Collie River Valley, starting and finishing around the picturesque Minninup Pool. Try your endurance and skills on a military-inspired obstacle challenge in Newlands, via Kirup. With separate events held across Australia, True Grit has a loyal following of dedicated ‘gritters’ determined to tackle the 10-12kms course with 30+ obstacles. The Blackwood Marathon is legendary in Western Australia. Since 1979, thousands of competitors have strived to tackled this unique event – horse riding, running, swimming, canoeing and swimming from Boyup Brook to Bridgetown along the beautiful Blackwood River. Don’t miss this ultimate test of endurance and skill. Elements is an annual Western Australian road racing series, with three of their nine events held in BunGeo. The series kicks off in May with the Tom Lowry Memorial Road Race - one of Western Australia’s most prestigious two-day road races set in the Collie River Valley. The Collie to Donnybrook and Return Cycling Classic (August) is a 104km handicap cycling road race and one of Australia’s road cycling classics; rich in tradition and raced over a tough and challenging course.Road race through the valley in the Ferguson Valley Classic in September. Get ready to climb with around 1500-1600 metres of ascent over 119 kms; making it one of the most challenging events in the cycling series. Then check out the action at the 40km Team Time Trial from the Wild Bull Brewery, because mixing booze and bikes can surely never be a bad idea! Throw on your cowboy boots and head to the annual Harvey Dickson’s Rodeo Weekend - 27 to 29 October. Held at the incredible (you have to see this place to believe it) Boyup Brook Country Music Centre located on a historic farm near Boyup Brook. Witness the action and bravery of a Full Point Rodeo, get your line dancing boggie on with live music, devour a straight from the paddock steak burger and much more. This is one for the Bucket List folks! Head trackside for Spring Racing across the #BG. October 14 heralds the season opener at the Bunbury Turf Club. Join the Punters Lounge for VIP access and complimentary beverages to sip. 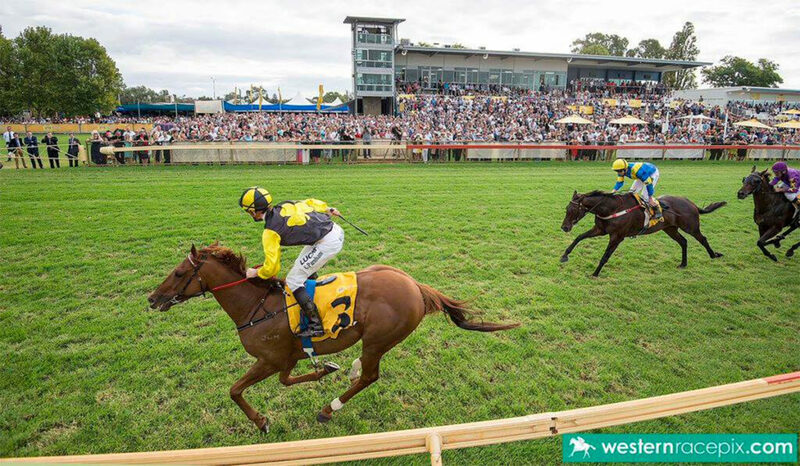 The horse-racing action continues on 28 October at the Collie Cup. A seat in the corporate tent is a must with entertainment, fabulous finger food and much more all afternoon. Cannot make it to Melbourne? Celebrate Melbourne Cup at Bunbury Turf Club, Tuesday 7 November, in the Diamond Chimes Marquee. It’s the place to be a with a four-course lunch matched with Capel Vale Wines and a winemaker on hand to discuss the wine selections. Come and see for yourself, Collie’s passion for all things motorsports during the Collie Motorcycle Festival. In September, hundreds of Ulysses Club members arrive in Collie, for the Test & Tuned Day - The Historic Competition Motorcycle Club is getting warmed up for its State Championships at the Collie Motorplex with a test and tune day from 9am on Saturday. Come and check out the action on the track, with free entry for spectators. Sunday’s program includes a 32-kilometre motorcycle procession through the town. Two nights of spectacular speedway action at one of the biggest races in Australia. With some of the world’s best sprint car drivers in action, fans of fast cars, thrills and spills get their money’s worth. Australia’s elite athletes will chase a $78,000 prize pool at the inaugural Bunbury Geographe Gift. Modelled on the famous Stawell Gift, there is a massive $18,000 up for grabs for both male and female winners of the elite 120m handicap event. The Gift will feature a two-day programme of races enhanced by a series of activities to cater for every member of the family. Bunbury City Classic Triathlon – Part of the Triseries, the Classic Triathlon offers participants two options: a standard/Olympic distance triathlon, and a shorter length enticer triathlon. A family orientated community bike ride known as the Back Beach Bike Vlast is held after the triathlon.